The wife of Abia State governor and founder of Vicar Hope Foundation Mrs Nkechi Ikpeazu has urged all National Youth Service Corps members posted to the state to be ambassadors for ending Sickle Cell anaemia in the country. Mrs Ikpeazu made this call during her visit to the state NYSC Orientation Camp at Umunna in Bende Local Government Area, urging the corps members to take the message of checking their genotype to their friends and family members. The governor’s wife said that after 44 years of the existence of the NYSC, it is still waxing strong and encouraged them not to be carried away by love but to make sure they know their status before marriage. “Those who are SS are not supposed to marry each other, while AS are carriers, AA is free to marry any of them, AS should also not marry each other”. Mrs Ikpeazu explained that over 150,000 children are born every year with sickle cell anaemia while 100,000 out of the entire lot die annually, stressing that this has made the country to become biggest nation with sickle cell anaemia in the world. 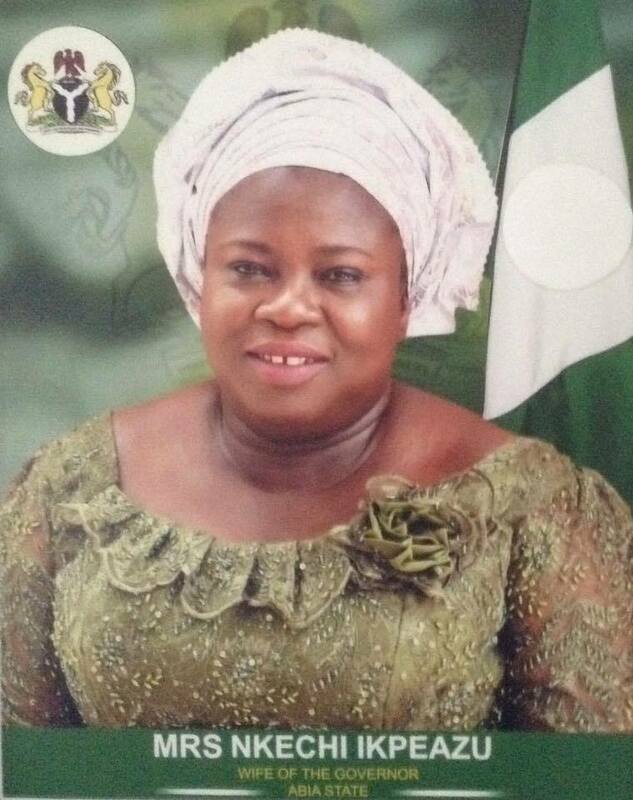 The Abia First Lady noted that the high death rate of the children with sickle cell anaemia in the country is as a result of mismanagement of their cases and called for proper management of their cases for them to live long. She said that her foundation offers free sickle cell screening of patients, “I am using this forum to urge all corps members to always go for test for them to know their genotype before marriage so that they would not end up having sickle cell children”. Mrs Ikpeazu said, “As a mother I feel pained when see children with sickle cell anaemia, which is avoidable if the parents had done the needful before marriage, which is the reason behind my foundation taking up the sensitization before marriage”. She said, “My assignment is that all of you should become ambassadors for breaking the circle of sickle cell, tell your friends and younger ones, before you cross the line, do the test, before you commit, do the test and before you love, do the test”. “I want you corps members to take advantage of the free test we are running in your orientation camp to know your status which you will in turn carry out to your places of primary assignment and even when you get back to your places of origin”. Earlier the chief executive of Vicar Hope Foundation, Dr Chukwuemeka Nwakanma gave an over view on sickle cell anaemia and the need for corps members to know their genotype before getting married, “I believe that most of you here have started courting while in the camp, so before you go further do that test”. In her welcome address the Abia NYSC state coordinator, Mrs Francesca Ifon said that, “Your excellency when Vicar Hope Foundation started, you specially requested for corps medical personnel to be part of your vision aimed at giving hope to the less privileged in the society”. In his vote of thanks, the chairman of Bende local government, Gabriel Elendu thanked the wife of the governor for coming to the NYSC camp to sensitize the corps members and urged them to take advantage of the program to stop the spread of sickle cell anaemia. Mrs Ikpeazu later donated food items to the corps members which include bags of garri, tubers of yams, bags of rice among others.